But Ebert was the man who first taught me that movies could be taken seriously. I doubt there are many US-resident cinephiles of my generation of whom that was not true. His books from the late-80s were the first film criticism I ever read, and the fire was lit under me. But his books also introduced me to the Sight & Sound poll, giving me the start of a canon to work with, and always included think-essays and reviews of theatrical rereleases of classics (his recent video guides, consisting entirely of reviews from the last several years, don’t have this value; I bought four from 1987 to 1993; none since). He could even get into the ring with Richard Corliss in FILM COMMENT when he went after their show, and said the problem with American movies is that they’re star-driven and exercises in marketing. Good call, Rog. Thumbs up. I can’t say I read Ebert as much as I once did. It’s not as crass as “I’ve outgrown him,” more that he’s made his mark (plus Richard Roeper is simply a twit). The purpose Ebert served for me as a budding cinephile, he no longer can. I have a good sense of film history of my own; with my own areas of special interest (silent films, Bollywood, e.g. ); I’m confident enough in my tastes that I don’t need to be assured that it’s OK to hate a film everyone else loves; I go to festivals myself, so I don’t need him as a gatekeeper, etc. It’s tempting to forget now, with Mister Roper on the other side of the aisle, just how good Siskel & Ebert TV show was in the 80s. For us, Siskel & Ebert were doing something other than hyping the latest blockbusters and running Top 10 grossing lists, like Entertainment Tonight. It was the only word you could get at the time that there were the important Indie and foreign films to look out for if they eventually came to your town. And the two actually had something to say about film history and the classics. Again the comparisons with the clone shows — involving Jeffrey Lyons and Michael Medved, or Rex Reed, Bill Harris and Dixie Whatley — make the point about how much more substantial Siskel and Ebert’s show was. The other mentioned critics are all justly forgotten (except for Medved, who’s carved out a career as a political commentator). 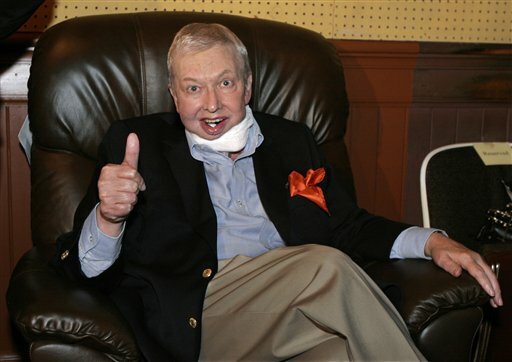 But Siskel & Ebert was a great show and I still have about seven or eight VHS tapes of memorable shows. The clips and the verbal rassling was fun, but the specials were what was really memorable. Not just the annual and decade Top 10s, but shows like “the movies that made us critics,” where Gene and Roger described what films moved them at various stages of life — A NIGHT AT THE OPERA, the Judy Garland A STAR IS BORN, LA DOLCE VITA, BONNIE & CLYDE (I just astonished myself by remembering these titles of Roger’s without having to look them up); a show called “you blew it!”; special shows on black-and-white films and silent films; theme shows devoted to directors and stars like Spike Lee and Arnold Schwarzenegger. They also got to be big enough celebrities to be invited onto other programs, and not just Carson, Letterman, and Arsenio. I cheered when during NBC’s Olympics coverage, the two did a segment about the greatest sports films of all time, and mentioned Leni Riefenstahl’s masterpiece on the 1936 Berlin games, OLYMPIA. The made the point that the very spectacle we were watching in Seoul (both in Korea and the coverage of it) would have been unthinkable without Riefenstahl. For this movie to be described as a moral statement about anything other than the filmmaker’s prejudices is beyond belief. Wow. It was … “the most famous critic in America is actually slamming a movie on the grounds of religious bigotry and stupidity.” I don’t know if I can communicate how inspiring that was to me, in 1995, when I was just starting to write my first film criticism, on Usenet. Get well, Rog. You’re still needed. And always be loved. 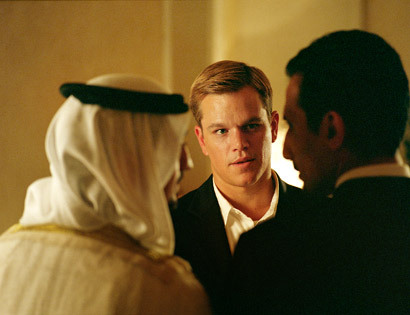 This is a movie about a country that assassinates Arab leaders with car bombs. Because this movie was called SYRIANA, I assumed it’d be about the similar-sounding country Syria, which has a habit of doing this. But alas, this is Hollywood movie and so having Arabs as the main villains would be unthinkable. Remember when the book of SUM OF ALL FEARS had Muslim terrorists trying to nuke a US city. Hollywood decided that was stupid and so rewrote the movie script with the much more believable, hard-hitting, risk-taking and relevant story line of *neo-Nazis* trying to nuke a city. (Doesn’t everybody go to bed at night worrying about neo-Nazi weapons of mass destruction? I know I sure do.) That rewrite was so awesome that, since the notion of Arab states or Arab terrorists car-bombing each other’s leaders and leaving craters in each other’s highways is obviously equally stupid, the film-makers decide to make a movie in which the *CIA* does such things. And by push-button from an office in Washington, like in a long-distance video game. And by gum, if Hollywood is gonna show Muslim suicide bombers, then it’s ferdamnsure gonna contextualize and/or minimize them — by (1) making them exploited Pakistanis (not the typical suicide terrorist profile); by (2) making their target an oil industry installation (rather than, say, US jetliners, or European trains, or Iraqi mosques or Israeli pizza parlors or German discotheques or wheelchair-bound American Jews); and by (3) portraying the explosion by turning the screen to white light as the bomber closes his eyes and gets ready for his 72 virgins (rather than say, showing fire, mangled corpses, blown-up pipes, loss of wealth for Matt Damon’s idea of investments). Stephen Gaghan’s film doesn’t reveal the plot, but surrounds us with it … no one in this movie understands the big picture. Even then, the studio e-mailed critics a helpful guide to the characters. I didn’t look at it. Didn’t want to. I liked the way I experienced the film: I couldn’t explain the story, but I never felt lost in it … Already I regret listing all of these names. You now have little tic-tac-toe designs on your eyeballs. … The more you describe it, the more you miss the point. It is not a linear progression from problem to solution. It is all problem. The audience enjoys the process, not the progress. We’re like athletes who get so wrapped up in the game we forget about the score. But the analogy in Ebert’s last sentence, about getting buried in stats and progress presupposes something not the case in SYRIANA — the intelligibility of the game itself. No sport is interesting if you don’t understand how it is played. To remember the score, we, the audience, at least have to know what the game is, what the rules are, how you score, whether high score or low score wins, etc. This movie is such a total mess, its action just tossed in media res in from nowhere — “surrounds us with the plot” — that it’s like PRIMER on a $50 million budget. One of the all-time great Hollywood movies, and also one of the most popular and beloved, has an unintelligible plot about a man thrown into political and spy intrigue about which he doesn’t have a clue. It’s Alfred Hitchcock’s NORTH BY NORTHWEST — a film that stands in rebuke of SYRIANA as an example of how to make unintelligible intrigue into a coherent, watchable and exciting plot (but try reciting what happens in NORTH BY NORTHWEST off the top of your head). First — concentrate on a single character with whom the audience identifies and give him a single role and aim (finding George Kaplan). SYRIANA juggles plot threads and has no central character. Second, make him as clueless as we. SYRIANA is filled with characters who know stuff and withhold it from other characters and thus us. Third, and this is the most important, don’t get bogged down in the MacGuffin. In Hitchcock’s terms, SYRIANA is a film that is not about the human beings, but only about the MacGuffin(s) they encounter, written by a man who thinks unraveling the MacGuffin matters. Coincidentally (or not), this was a tick Hitchcock, in his book-length interview by Francois Truffaut, said he always had to warn screenwriters off. In the same interview, Hitchcock said NORTH BY NORTHWEST was his best MacGuffin because it was “nothing at all.” But imagine NORTH BY NORTHWEST if it followed James Mason and Martin Landau from the beginning, had a separate Eva Marie Saint plot thread, and was concerned with the business of every character at the meeting headed by Leo G. Carroll, where it’s decided that there’s nothing that can be done for Cary Grant without blowing Kaplan’s cover. And we could hear Carroll’s explanation of everything to Grant that Hitchcock wisely obscured with a roaring plane engine. That’s SYRIANA, in a nutshell. The movie has been called “liberal,” but it is apolitical, suggesting that all of the players in the oil game are corrupt and compromised, and in some bleak sense must be, in order to defend their interests — and ours. If this act of “suggesting” is Ebert’s idea of “apolitical” … words fail me. As if “Oil = Evil/Oil Causes Evil/We’re Evil Because of Oil” isn’t the quintessential liberal stance on a host of issues (particularly for the Lifestyle Left, as distinct from the union hardhats who once formed the Democrat Party’s base). From climate change to automotive regulations to urban sprawl to Alaskan or offshore drilling to Bush’s personality to war and peace itself (as in “No Blood for —–“) … whatever side “oil” is on, liberals will be on the other as if it were a law of nature. I saw this film, Leone’s last before he died in 1989, for the first time on the big screen last weekend at the gorgeous American Film Institute theater, where I had already seen two of Leone’s spaghetti Westerns — THE GOOD, THE BAD AND THE UGLY and ONCE UPON A TIME IN THE WEST — earlier this fall. Though it’s obviously great to see this masterpiece in a theater, ONCE UPON A TIME IN AMERICA was actually one of the earliest case studies in the virtue of home video. After playing at the Cannes Film Festival at 238 minutes, the film’s U.S. distributors chopped it by 100 minutes and completely re-edited the film to ditch its complex 50-year flashback structure (some critics have even suggested that it all takes place in the opium-filled head of the central character) in favor of straight chronology. But at approximately 2:20, it was still too long and remote to appeal to younger audiences, and the savaging it got from American critics as incomprehensible meant that it had no shot at being a succes d’estime. 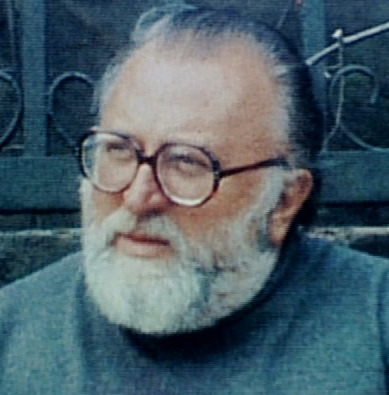 The gangster film put Leone’s talent in a new light. He lost something in having to forgo the grungy pictorialism of his landscape- and face-dominated Westerns, but gained that much back in the kind of ravishing luxury more suited to the kind of movie he was making here — an intimate, elegiac opera. 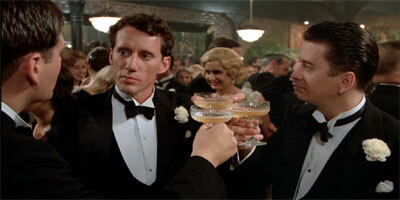 Unusually, for a film that spans 50 years and looks like an epic on first glance, ONCE UPON A TIME IN AMERICA is an interior psychological film, primarily about the guilt of one gangster (Noodles, played by Robert De Niro) over betraying his boyhood friends (the closest being Max, played by James Woods) to the police and having them die in the resulting shootout. The drama unfolds in three relatively short spans in the teens, early 30s and late 60s. But the chronological juggling is needed, because certain scenes have to take place in the order they do for emotional sense, not chronological sense (including the last, more anon). The film is fundamentally about what time changes and doesn’t change, and a chronological structure is too naturalistic for such a story. 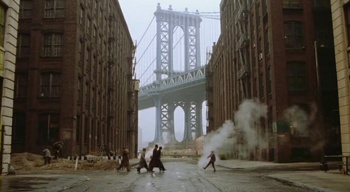 ONCE UPON A TIME IN AMERICA is full of wonderful moments, touches and grace notes — a young boy debating between flattering the neighborhood tramp with a cream cake and eating it himself, Kate Smith singing “God Bless America,” a frisbee coming out of nowhere, the line “Noodles, I slipped,” Ennio Morricone’s mournful theme as played on a pan flute by Gheorghe Zamfir (yes … THAT Zamfir), the limo driver rejecting Noodles’ money and leaving him incredibly alone, Deborah closing the window curtain as the train departs, the dissolves between the Jewish neighborhood at various times … it’s all lovely and sad. When it gets to the late 1960s, we reach a revelation (SPOILER WARNING). Noodles has been invited to New York by a “Secretary Bailey,” a Cabinet member and successful businessman who is on the verge of losing everything in a widening corruption probe (imagine Richard Nixon in June 1974). Only Bailey is actually Max, who really wasn’t killed in the shootout whose memory has consumed Noodles’ life. Instead, Max fooled Noodles into betraying him and their two friends, so Max could make a clean break, take the group’s stash, and start life anew — respectable and able to climb the greasy pole of success. Now, to avoid exposure, Bailey is offering Noodles a chance at revenge by killing him. “I took your money, I took your girl, all I left you was 35 years of grief over having killed me,” “Secretary Bailey” tells Noodles. But Noodles doesn’t bite, refusing to look back at Sodom. Partly, he doesn’t want to turn into a pillar of salt, but also because he can’t have the 30 years back. There is no redemption or undoing the past, because the past is what has made you what you are. Throughout the scene, Noodles refers to him as Secretary Bailey, not Max, and pretends not to know any of the back story. It’s as if he would rather live as he has for the past 30 years — a guilt-ridden ex-gangster — than look back. “It’d be a shame to see a lifetime of work go to waste,” Noodles tells Max. He’s referring on the surface to “Secretary Bailey’s” achievements, but he’s also referring to himself. His last 30 years would have been a waste if he were to acknowledge having been conned by taking vengeance on “Max.” Between guilt and nothing, he’s taking guilt. In some ways, the ending of ONCE UPON A TIME resembles the last scene reversal in MEMENTO — both have a man prefer the delusion he can live with to an empty, meaningless truth. But it’s also the opposite — in the later film, the last scene turns Guy Pearce’s character Lenny from victim to agent (even if it’s the agent of his own self-delusion); here, Noodles says agency and autonomy isn’t worth it to him. He’s turning his back on the most fundamental of Today’s Virtues — being your own man and leaving the past behind. 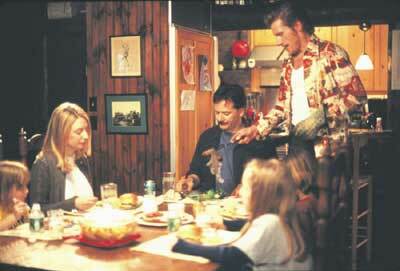 As a result, the last shot of the film justifies the complex, jump-around-in-time structure. It’s a full-facial closeup of a young adult Noodles smiling after retreating to an opium den, taking a hit, and rolling over under some netting, and it’s the film’s emotional punctation even though it takes place 30 years before the final dramatic scene. 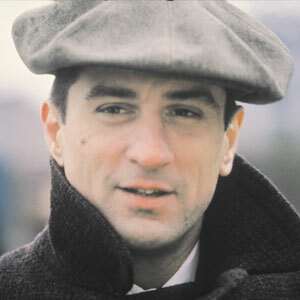 De Niro’s expression and all the ambiguities contained in it *are* what the film is about. In fact, I was kinda mad at Leone for only holding the shot for a few seconds before superimposing the credit crawl. That image needed to be held for an unnaturally long time (30 or 40 seconds at least, whatever is needed to call as much attention to itself as the telephone rings at the start do). And then fade to black. It has long been obvious to all who cared that Roger Ebert was a liberal Democrat with radical and counterculture sympathies (yet somehow in the pay of Vast Right-Wing Conspirator Conrad Black and the evil Disney Cultural Megamonster). His reviews of the films of Spike Lee, Oliver Stone and Michael Moore came laced with asides and whole paragraphs that made it clear to anyone with the eyes to see. Fine, whatever. But the subject of President Bush in the past couple of years has pushed him out of the closet, and his own doors have come a bit unhinged in the process. His review of LUMUMBA, a biopic of the 1960s Congolese radical, began with a rant about Bush’s missile-defense plan. And in his post-September 11 review of ZOOLANDER, he more-or-less said the film could cause Malaysians to kill Americans by the thousands. Or something like that. Now, that kind of stuff is just funny. And Ebert, the most influential film critic of his era, the man who first lit the fire under practically every film geek of my generation, isn’t even the lefty critic most worth laughing at for that sort of thing. (There’s a whole gaggle at the Village Voice). But he crossed the line in an interview in the latest issue of the Progressive. Much of it was fine and par for the course, until he began exhibiting a generational and intellectual arrogance that I find utterly breathtaking, but entirely typical for Ebert’s kind of culture snob. I suppose there isn’t really any point in my saying anything since I’m a generation younger than Ebert and therefore never took a civics class. And this is all obviously the same “Limbaugh rhetoric” from “parrots” who “don’t have any ideas of their own.” But reading tripe like that makes me think I was in the first generation that ever took a logic class. The double standards are appalling and legion. Sean Penn is “probably not dumb” because he’s the greatest actor of his generation. Um, OK. About anyone who would make that argument — who thinks there’s a greater correlation between intellect and acting ability than between intellect and thinking you’d learn the truth about Iraq from Saddam Hussein and Baghdad Bob — that person probably *is* dumb. But let that go. How does this “probability” sit alongside Ebert’s repeated and open contempt for Dubya as stupid? The man has degrees from Harvard and Yale. Yes, he had all sorts of connections and advantages that middle- and lower-class people didn’t, but Harvard and Yale don’t just hand out degrees, even to their legacies, and they don’t graduate dummies. Yes, Bush is not philosophically sophisticated or reflective (very, very few people are), but that’s not the same thing as being dumb, as in the caricature Ebert and the his SDS pals draw. And Ivy League degrees have a far greater “probably” relationship to intellect than acting ability (which is essentially the ability to convincingly pretend, a skill that the uncharitable might note is much closer to self-delusion than to knowledge). And what’s this born-yesterday piffle about religion and politics? “Religion in the White House has crossed the line between church and state … we finally get a religion in the White House” in the form of Bush? Was Ebert taking so many civics classes that he skipped history classes? In fact, if anything Ebert’s generation, far from being the last to have a civics class, was the first to decide on a new, secular sense of “civitas.” Prior to approximately the time of Kennedy, religion had proudly never left the White House or American politics — the only questions had been what religion and to what ends. Does Ebert think the Puritans were people with funny hats and turkeys who came to America to set up the “shining city on a hill” as a secular republic? Has he read Lincoln’s Second Inaugural, in which he explicitly interprets the Civil War in providential and salvific terms? Or anything by the civil rights movement from *Reverend* King or Fanny Lou Hamer? Or does he know about the Calvinist Woodrow Wilson, who justified U.S. imperialism as God’s civilizing hand (and was far from alone in so doing)? Or Teddy Roosevelt, who justified same as a form of muscular Christianity (James Naismith, the inventor of basketball, was of that school of religion)? Or the Abolitionist movement, which was a product of the Second Great Awakening? Where was he when Jimmy-fricking-Carter was in the White House? Or when Bill Clinton publically set up a counsel of religious elders to look after his soul during the Year of Monica? Or … I could go on and on, but why bother? It’s obvious Ebert is just parroting a set of ACLU talking points because he’s never had an original thought of his own. Doesn’t he even remember from 1959-1960 that the wider-shared objection to Kennedy wasn’t that he’d bring *religion* into the White House, but that he’d bring in the *wrong religion* — Catholicism, the foreign tyranny of the Pope of Rome and all that. Again, prior to Kennedy, it always had been assumed that the president and Congress would come from one or another strain of mainline Protestantism and govern accordingly. Maybe little Rog skipped that day in civics class. Or maybe he was busy praying for the election of Harry Truman (no church-state separation issues or cause for thoughts about the stupidity of a man who thinks God takes sides in politics there of course). The “civics class” comment is self-righteous demogoguery. And wholly unjustified as an opinion for Ebert to have about his own intellect as demonstrated here. To avoid being one of those who “don’t understand the First Amendment,” one must first have read it, and what it says is “Congress shall make no law …” (This prohibition was later extended to state and local government through the 14th Amendment.) What it says absolutely nothing about, what no court has ever construed it to say, is private action, private criticism, private open-mindedness or anything else private. It’s a restriction on government. The only offenses cited are Fox being a meanie to the brilliant Sean Penn, the refusal of some stations to play the Dixie Chicks and right-wingers’ dismissal of his own political columns as worthless (an entirely justified one; the Florida recount columns are comedies of forensic errors, not excluding lies). Oh … and some people on the Internet keep a list of who they see as U.S. enemies. Big fat hairy deal. What does any of this have to do with government action, the only thing the First Amendment speaks about? Maybe little Rog skipped that day in civics class too. If you want to argue a policy, you first have to understand and talk specifically about what is happening. And on the most basic of economic concepts, Ebert is just plain all thumbs. Now it could be, in principle, a perfectly reasonable complaint that the tax system is insufficiently progressive or the welfare state insufficiently generous. Or that certain politicians have made it thus and that’s bad. But what is this Ebertish babble about “their money is being stolen” and “a concerted policy of taking money away from the poor and giving it to the rich”? The poor have little or nothing *to* take away or call “theirs” to be stolen … that is why they are called “poor.” What is this “concerted policy” that Ebert is talking about? Tax cuts? All they can do, by definition, is let people keep more of what they have earned in the first place. To the contrary, the Earned Income Tax Credit actually “gives” money (there is no “Negative Income Tax”) to people … but only the working poor. Further, the share of people near the bottom who pay no federal income tax at all has grown in recent years, and will continue to expand under Dubya’s tax cuts. Government spending programs? Leave aside the empirical (and therefore far too complex for Ebert’s posturing) question of whether they have in fact been cut (they have not … nondefense government spending under Dubya is as high as it has ever been). Just think conceptually about what Ebert is saying. Government spending programs give some people money or benefits they didn’t have before. A government might cut such programs, but that could only give the beneficiaries less, and that’s just not the same thing. This might sound like a Jesuitical distinction, but Ebert was too specific and too repetitive in his usage to think he was speaking loosely. Besides, he took all those civics classes that gave him a corner on reason against those who parrot Limbaugh rhetoric and have never had a thought of their own. He genuinely seems to live in a world where the government robs from the poor to give to the rich. And that is just plain nuts, except under some Brezhnev Doctrine of permanent entitlement growth or some absolute objection to any and all private property. Speaking of Marxism, I also loved the way this millionaire presumes to speak for the poor. Remember how the Progressive’s writer mentioned Ebert’s car license plate, but didn’t say what kind of car it was? That was awesome. He complains that so many “ordinary people” are “voting conservative and thinking that the conservatives represent them” and then haughtily says “they don’t.” Has it ever dawned on this guy that other people might be at least as decent (maybe better) judges of their own interests and who represents them as he is? Or that people’s interests might be broader than economics (e.g., the culture war or foreign policy)? Or that, heaven forfend, he might be wrong about economics. No, Ebert is just so sure, so sure. His certainty doesn’t come from political or economic realities; it comes from apparently on high. These are acute distinctions, I realize, but I have no patience with them or tolerance for them when they come from someone who so pointedly looks down on other people’s intellects, say they parroting Limbaugh’s talking points because they never took a civics class and have no thoughts of their own and all that rubbish. The reason I suspect that Ebert only gets rude dismissals from conservatives is simply that when he talks politics, he isn’t worth engaging. In fact, as a general rule, the more profound somebody’s distaste for a political view, the less likely he is to address it. Ebert plays like he wants a civil discussion, why can’t we celebrate people with different opinions and argue with them, etc., but how can one have a civil discussion with someone who wrote a snob-act-masquerading-as-a-column on the presidential daughter’s wardrobe choices, calling her “uncouth” and a “yob,” but exactly what you’d expect from such dumb family stock? How can one have a civil discussion with someone who compared Florida Secretary of State Katharine Harris to Bill the Butcher from GANGS OF NEW YORK? How can one have a civil discussion with someone who says Bush getting caught in the London rain proves that missile-defense is a bad idea [I am not making that up]? How can one have a civil discussion with someone who defends the Florida Supreme Court’s conduct with “I trust that if any of those justices believed in their hearts that their decision was wrong, they would have said so” and yet has no problem with calling the U.S. Supreme Court’s decision a “federal coup” [the double standard stinks to high heaven]?